If there’s one thing that kids love almost as much as movies and TV shows, it’s figures and playsets that give them a chance to dive into those digital, TV- and movie worlds and create their own scenes and stories. Here are some of our new faves that would make great additions to your family toy chest. 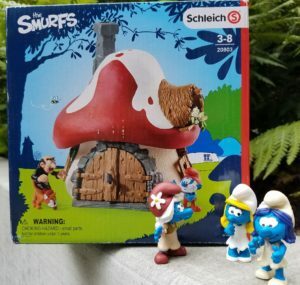 This entry was posted in Reviews and tagged bridge direct, despicable me, powerpuff, schleich, smurf, thomas, wonderforge on May 19, 2017 by Parents@Play Team.